Today, on the streets of Macon, Georgia, people will stand in line along the route to the Rose Hill Cemetery to honor Gregg Allman, the pioneer Southern rocker who died at 69 on Memorial Day weekend. At the cemetery, Gregg will be buried next to his older brother, Duane, the legendary slide guitarist, who died in 1971 at the tender age of 24, in a motorcycle accident on these same Macon streets. 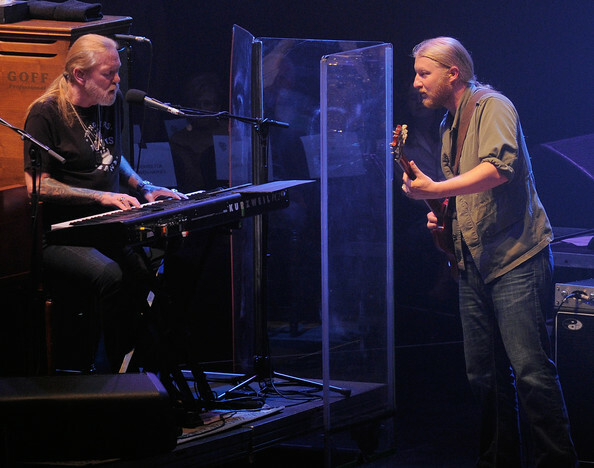 The Allman Brothers Band gave their last concert in 2014 at the Beacon Theatre in New York, ending a 45 year-run. Sadly, there can be no more reunions now that the last biological Allman brother is dead. So today's graveyard procession will also serve as the final goodbye to one of America's most original and influential rock bands. It's a 1970s retro celebration. Former president Jimmy Carter will be there, along with Cher, one of Gregg's six wives. And Dickey Betts, a founding band member who left in 2000 after a messy public divorce; Betts reportedly patched things up with Gregg -- call me Gregory -- before he died of liver cancer. Gregg's longtime manager has asked the mourners to dress casually, as in jeans, and no suits. 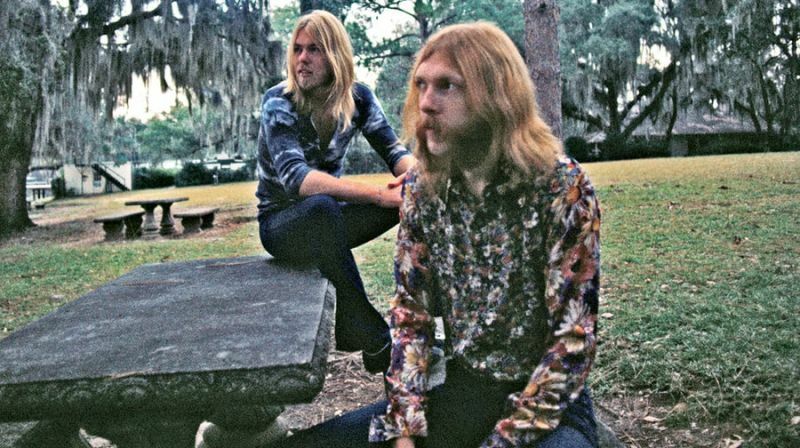 I first started listening to the Allman Brothers as a college kid at the University of Missouri back in the early 1970s. Missouri -- pronounced Missourah -- was a strange place that considered itself part of the old South. I will never forget my first weekend at Mizzou. They showed a free movie in the student auditorium at Jesse Hall, Gone With The Wind. The first scene was set on a Southern plantation, where slaves were toiling in the cotton fields. To my amazement, the entire student body roared its approval. In Missouri, the Confederate flag hung everywhere, and rock bands covered Hank Williams more than Mick Jagger. And everybody loved the Allman Brothers for inventing Southern rock. The band fronted by the two brothers was unusual at the time because it was racially integrated, featuring two lead guitarists and two drummers. I was late to the party, discovering the band after Duane's death, with hits at the time that included "Ramblin' Man," "Jessica," and "Southbound." Eventually, however, with no new music forthcoming, I migrated back to the old recordings done by the original band. 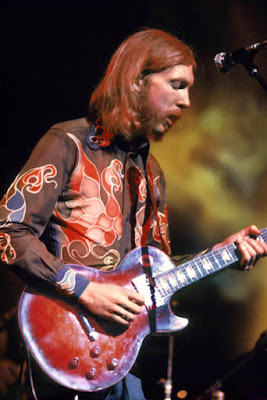 There is no more life-affirming sound in all of rock than the primal screech of Duane Allman's slide guitar. Anybody who has listened to "Statesboro Blues," the opening tract on the live At Filllmore East album knows what I am talking about. Duane's slide guitar could be lyrical, as in the final moments of "Mountain Jam." Or transcendent, as in the last notes of "You Don't Love Me," when Duane closed that tune by reprising "Joy To The World." It's amazing stuff. To prove it, in 2004, Congress chose At Fillmore East as one of 50 recordings to be added to the Library of Congress. The Allmans may have been one of America's most original rock bands, but they were also possibly the most tragic. Duane and Gregg were just toddlers when their father, Willis, was robbed and shot to death at 31, the day after Christmas, 1949, by a hitchhiker he had just picked up. The furious guitar playing of Willis's oldest son, Duane, was matched by his reckless motorcycle riding, and the white hot way way he burned his way through his all-too-brief life. After Duane assembled the original band, the legend goes, he blocked the doorway and announced, "Anybody in this room who's not going to play in my band, you're gonna have to fight your way out." 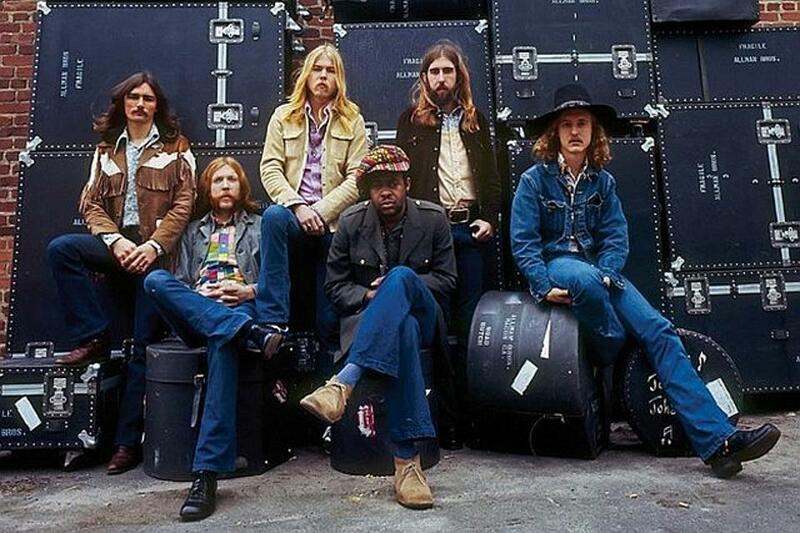 "Duane was a ball of fire," drummer Butch Trucks told Rolling Stone. "He walked into a room, everybody stopped and looked. If you're lucky, you meet one guy like him in your lifetime. Gregg was just a pretty boy. He had blonde hair, and the girls were hanging all over him." 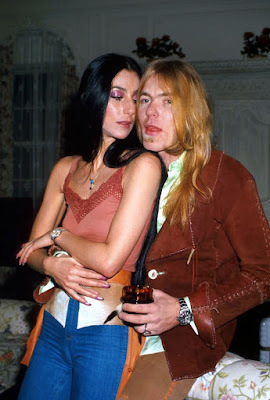 The Allmans, of course, were a bunch of druggies. Duane usually played his guitar with his eyes closed and his mouth open, looking like he was on another planet. 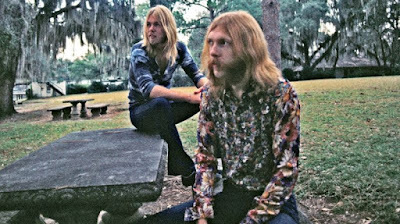 The most famous photo of the band was taken on the streets of Macon across from their recording studio. According to Randy Poe, Duane's biographer, the band was out posing for hours on a frigid day because the photographer couldn't get them to smile. Then, Duane saw a local drug dealer strolling by, and he scored a baggie, hidden in the photo under his hands. That's what the band was laughing about. And nobody was laughing harder than Gregg. Brothers who are as close in age as Duane and Gregg were, just a year apart, have a way of living inside each other's heads. That's what made the band special. Like in the last minute of Statesboro Blues, after a screeching guitar solo by Duane, Gregg is belting out the climax of that song. "Love that woman . . ." Greg yells. And then Duane pops in, his guitar perfectly mimicking Greg's scream. They were a magical duo until Duane's last motorcycle ride in 1971. A year later, bass guitarist Berry Oakley, died in yet another tragic motorcycle accident on those same streets of Macon, Georgia, at 24. He's buried next to Duane at Rose Hill. Amazingly, through all the tragedies and the drugs and the failed marriages, the band survived and had many second acts. Warren Haynes joined the band, as did did Butch Trucks' nephew, Derek Trucks, the most amazing slide guitarist since, well, Duane Allman. Derek, named after Derek and the Dominos -- the band that included Duane Allman and Eric Clapton -- was a guitar prodigy. At 13, he would blow people away opening Allman Brothers concerts by playing the guitar solo from "Layla," while wearing a "Skydog" T-shirt. When Derek played his slide guitar, old Allman Brothers fans got goosebumps. So did old band members. Gregg said that Derek reminded him so much of his older brother that it was other worldly. "Do I believe in reincarnation?" Gregg wrote in My Cross to Bear, his autobiography. "After seeing Derek Trucks, how could I not . . . I have good peripheral vision, and sometimes I'll catch him out of the corner of my eye, and they way he stands looks just like my brother." They tried to make a movie about the Allman brothers in 2014. Midnight Rider cast William Hurt as old Gregg and Wyatt Russell, the son of Kurt Russell and Goldie Hawn, as young Duane. But when they were filming a dream sequence on a railroad bridge, where old Gregg saw a vision of young Duane, a train came roaring over the bridge. A camera assistant was killed, seven people were injured. A bunch of lawsuits got filed, and a grand jury indicted the film's directors and producers for involuntary manslaughter. That was the end of Midnight Rider. 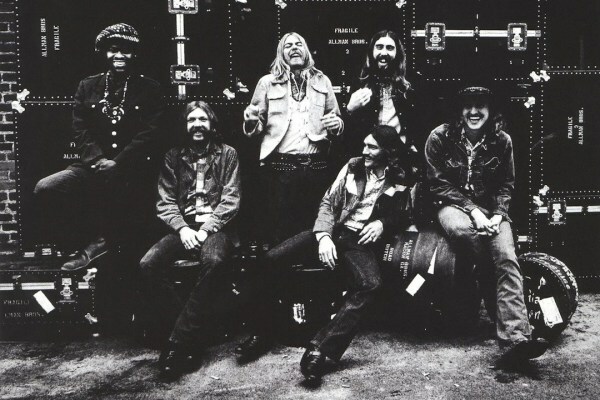 But for the Allman Brothers Band, the tragedies continued. In 2010, Gregg needed a liver transplant. This past January, drummer Butch Trucks shot himself to death, in front of his wife. But today, it's time to pause for a moment with Jimmy, Cher and Dickey. And say goodbye to a band, a bygone era, and that trademark bluesy Southern sound. Rest in peace, Duane and Gregg, Berry and Butch. And long live the music and the legend of the Allman Brothers Band.